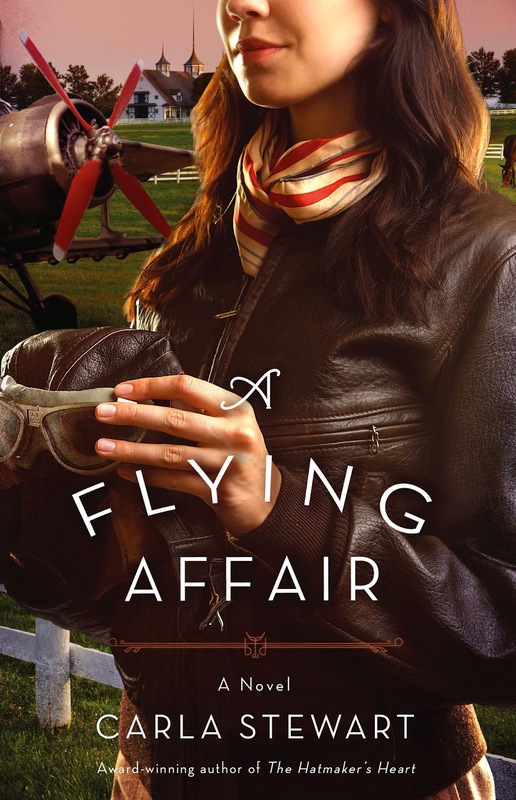 Hello again, from Carla Stewart! This is the second installment of the Route 66 series. If you missed the post on Santa Monica Pier last month, you can find it here. While California is the END of this historic ribbon of road, today we'll go back to the start and travel along the highways and byways from Illinois to Oklahoma. Along the way, I'll point out some of the more famous landmarks and give you a few facts as well. "Route 66 is Steinbeck and Will Rogers and Woody Guthrie and Merle Haggard and Dorothea Lange and Mickey Mantle and Jack Kerouac. It's thousands of waitresses, service station attendants, gry cooks, truckers, grease monkeys, hustlers, state cops, wrecker drivers, and motel clerks....Truly a road of phantoms and dreams, 66 is the romance of traveling the open highway. It's the free road." Number of states that it crosses: Eight. Traveling from east to west, they are Illinois, Missouri, Kansas, Oklahoma, Texas, New Mexico, Arizona, and California. It begins in the heart of downtown Chicago not far from the shores of Lake Michigan - a city that is a melting pot of people and cultures - a salute to the working class of America. Take Route 66 south out of Chicago and you'll find places like the sky View Drive-in Theatre and Skinny's Cafe in Litchfield, IL. Where Illinois meets Missour, the Chain of Rocks Bridge spans the Mississippi River. It's unique feature is the 22 degree horizontal bend in the middle. 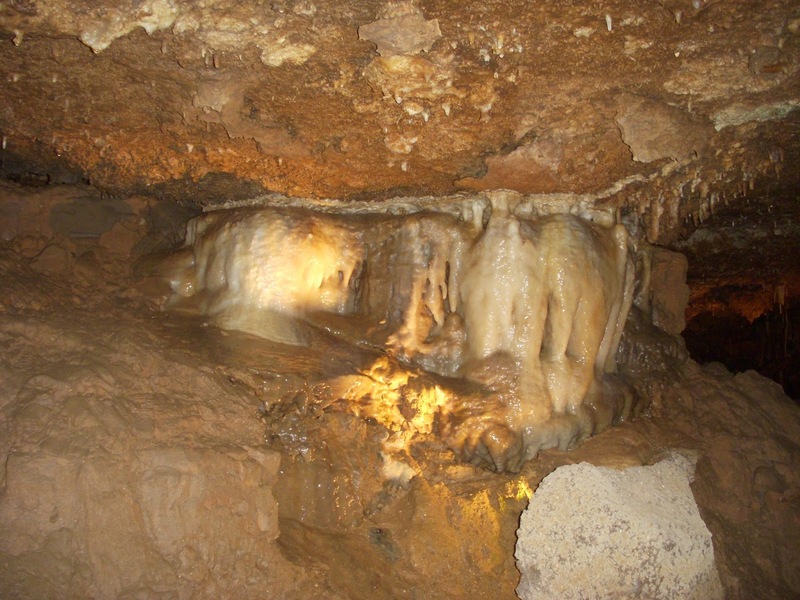 Other noteworthy stops along "66" in Missouri are the Meramec Caverns in Stanton, touted as the world's only five-story natural wonder and the place outlaw Jesse James used as one of his hideouts. Missouri is also the home to the Wagon Wheel Motel in Cuba and Pecan Joe's Candy and Souvenir Shop in Newburg. On the western edge of Missouri in Joplin, travelers pass Dolly's Chili House, Tophat Diner, Dutch Village Motel, and Dixie Lee's Dine and Dance Bar. Just ahead: Kansas. Kansas has the shortest stretch of "66" - only fourteen miles in the far southeast corner, but here you can find the historic Galena Mining and Historical Museum dedicated the massive lead mine that once operated here. The West and East collide in Oklahoma making it the the crossroads for America's Main Street. Here "66" is a melding of Burma Shave signs, neon lights, and Old Indian Territory. And it's the land of Will Rogers and Mickey Mantle. 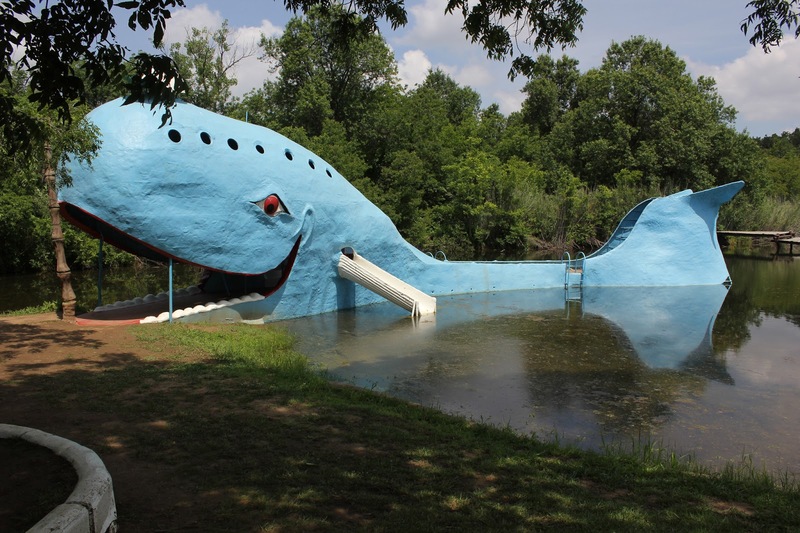 One of the more famous sights on all of Route 66 is the Big Blue Whale in Catoosa, OK, just outside of Tulsa. Once a popular swimming hole where sunbathers rested on top of the whale, dived from its mouth or zipped down the slide coming from its side, the tourist attraction is now in a state of decay. Recent reports indicate that restoration plans are in place. I've a few more places in Oklahoma to show you before we head west, so I hope you'll join me next month for more sights along America's Historic Main Street. For now, though, tell me about the most interesting place you visited this summer. Are your vacations about relaxing, visiting theme parks, or taking in our country's history? I'd love to hear your comments. I have read alot about Route 66 but never got to experience it. Kim, I hope you get to some day. It's off the beaten path most places so you get to see small town America. You just never know what might turn up! Fun post, Carla! I still have memories of riding with my mom from Texas to Missouri to visit my grandparents. 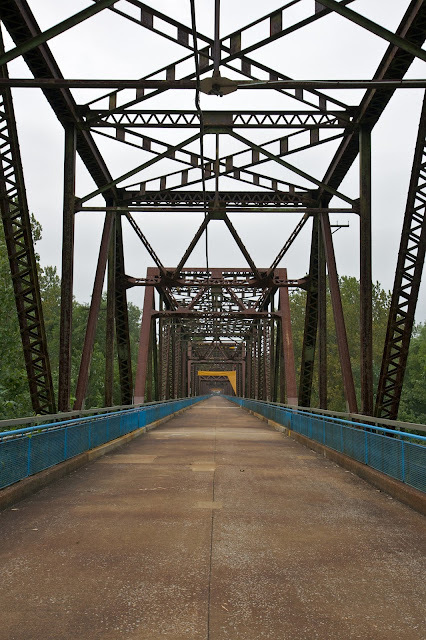 Part of the trip followed Route 66, and I remember going over some bridges just like the one in your photo! Thanks, Myra. Great to see you here. I tried to find a better photo of the bridge that showed the "crook" in it. Next time I'm in St. Louis I'm going to look for it. So glad the post stirred a memory for you. I'm more familiar with the western states of "66" too, and the pic in Chicago was quite by accident. I was with a group of writers and we literally bumped into it. Someday my husband and I are going to take the whole trip. Thanks for stopping by! WOW my hubs grew up in Chicago area and he never knew this, either! Thanks for the great post! I always think of Route 66 as being in California only! Blessings!